Do you typically wake up with a headache accompanied by occasional bouts of dizziness? Has your sleep partner ever complained about your nightly snoring? Do you feel groggy or unrefreshed when you first wake up? Is your throat dry, raspy or sore every morning? Do your jaw, facial muscles and teeth also feel tired and achy? If this sounds like you then you may be experiencing the onset of TMJ as a result of breathing problems. The most typical TMJ morning headache is in the forehead or occipital regions. 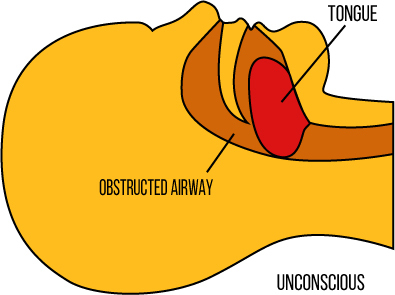 How can problems with the airway cause TMJ? The single most important function of your jaws and other oral structures is to maintain an open airway. Everything in this complex system is connected, so if one part of the puzzle is not working properly, the rest of the operation can be thrown out of order. Your tongue is connected to your jaw. Your jaw is also connected to your dental structure and your TM joints. If the airway becomes blocked or constricted due to allergies or enlarged tonsils, your swallowing and breathing patterns cease to function normally. When this happens, a displacement of the tongue may also occur. This incorrect positioning of the tongue pressing against the teeth may slowly move the teeth and jaw out of alignment. If this condition is not resolved properly, it may eventually lead to an onset of TMJ. To properly resolve the blocked airway and your TMJ issues, we will take a detailed medical history to help give us a more complete understanding of your past and present health issues and how they relate to your existing concerns. Dr Shapira loves to see his patients while they are in pain because he can usually relieve that pain in a couple of minutes and the process allows him to better understand and treat your unique pain and condition. Additionally, he performs a full clinical examination with a series of diagnostic tests to see what other difficulties might be contributing to your condition. If sleep apnea is suspected a Sleep Study may be ordered. Detailed muscle palpation and evaluation of multiple muscle systems of the head and neck. When all of your diagnostic tests, physical exam and detailed medical history are completed, Dr. Shapira thoroughly reviews all of the findings before determining the cause, or causes, for the symptoms you are presenting. Deciding on where to begin treatment is critical, depending on your unique situation treatment options can vary greatly. Many doctors try to utilize a cookie cutter approach to TMJ when they do not understand the underlying physiology. 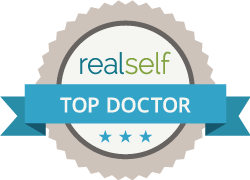 At that time, Dr. Shapira will meet with you to carefully explain the results and discuss an appropriate plan of treatment. We have an informative e-book with more information about your airway and TMJ. It is absolutely free, and you can download it today or anytime at your convenience. If you believe you have some issues with your airway and/or you are experiencing some symptoms of TMJ, please contact our office and make an appointment for your evaluation with Dr. Shapira.